MIDDLETOWN — The salty patches were small, at first — scattered spots where soybeans wouldn’t grow, where grass withered and died, exposing expanses of bare, brown earth. Of climate change’s many plagues — drought, insects, fires, floods — saltwater intrusion in particular sounds almost like a biblical curse. 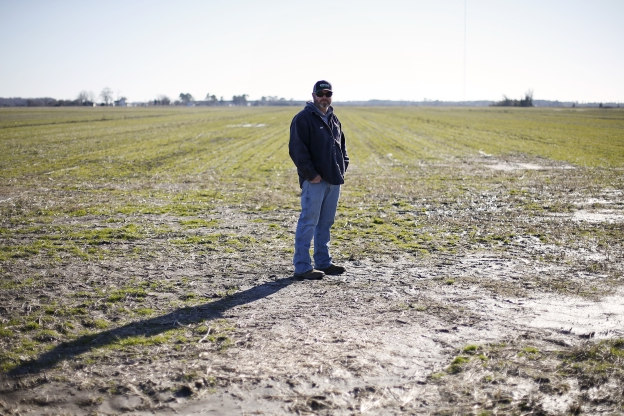 Rising seas, sinking earth and extreme weather are conspiring to cause salt from the ocean to contaminate aquifers and turn formerly fertile fields barren. A 2016 study in the journal Science predicted that 9 percent of the U.S. coastline is vulnerable to saltwater intrusion — a percentage likely to grow as the world continues to warm. Scientists are just beginning to assess the potential effect on agriculture, Manda said, and it’s not yet clear how much can be mitigated.